© 2019 H3B Media Ltd. All rights reserved. The views and opinions of the authors are not necessarily those of H3B Media Ltd. Reproduction (in whole or in part) of any text, photograph or illustration contained in this publication without the written permission of the publisher is strictly prohibited. Ladies and gentleman, there you have it. Verbatim. The transcript of an actual phone call we received shortly after sending out the link to the preview version of this, the first issue of Thinking Highways magazine in its new, beautifully 21st century multi-dimensional format. 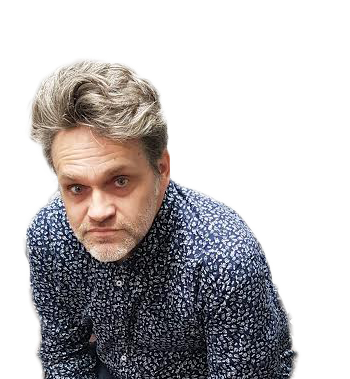 We haven’t moved away from print, but we firmly believe that this is not actually the future of publishing, it's how publishing needs to be now. More immediate, more modern and, yes, more multi-dimensional. The one thing that hasn’t changed at all is the quality of the editorial. 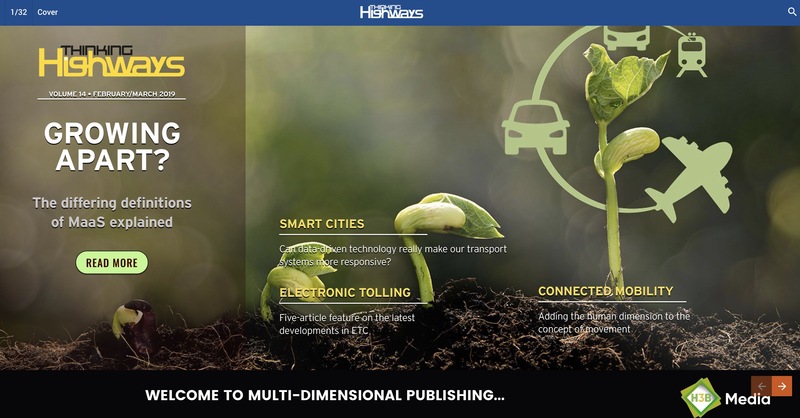 Read any of the articles that make up this first issue of our new era and it will be that same Thinking Highways experience (not advertorial, unbiased journalism, incisive reporting, educational case studies, forthright opinion) that you have enjoyed since 2006, only this time you are reading in on your Mac, PC, smartphone or tablet. The new format, almost a year in the making, allows us to present top quality editorial but seamlessly append and enhance it with audio and video. You’ll see more of these multi-media elements in future issues, but there’s interactive elements within articles “From Unmanaged to Unmanageable?” and "Driving The Future of Connected Cars"; the SWARCO and Traffex 2019 advertisements contain video and audio respectively; and at the end of the issue the last three articles are housed in our new AUDIOFILE section where readers become listeners and get a brief outline of a podcast interview and an invitation to click a bright orange PLAY button – the act of which will auto-start a discussion between myself and an expert within a chosen field. We’re excited by the potential our new platform has to truly showcase what this sector has to offer, while staying true to our deep-seated publishing roots. It’s a new approach, but it’s still resolutely and obviously Thinking Highways. The contents page will show you what you have in store – you can navigate your way around the issue in linear fashion, using the orange back and forward arrows or you can revert to the contents page via a link in the blue navigation bar and start your journey into the Thinking Highways multiverse from wherever you wish.